Synergy Packaging specialise in the design and manufacture of protective foam packaging for computer, electronics and IT based products. Over the past 15 years we have produce packaging to protect a wide range of goods including: PCs, scientific equipment, screens, monitors, circuit boards and much more. Computer based products are often expensive and fragile. It is very important that these products are protected during delivery, storage and sale. Synergy can help. Our expertise gained over 15 years experience not only protects your products to the highest standard but also saves you money. We understand how to reduce packaging size whilst preserving protective qualities. This saves material and distribution costs. 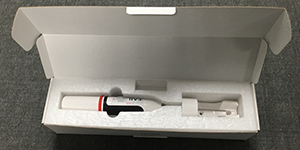 Custom Die Cut foam packaging will allow small, fragile and expensive computer items to be fully protected during storage, distribution and sale. 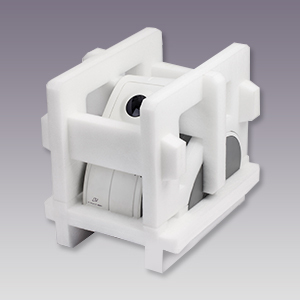 These packs will exactly and securely contains components within a three dimensional cushion. Conventional Polyethylene foam end caps and protective packs are made by die cutting the component parts and then heat bonding them together a form a 3 dimensional protective cushion. Protective Foam end caps are the simplest, easiest and most cost effective way to protect fragile computer and electronic equipment products against shock & vibration damage. The versatility, performance and cost of these protective foams (materials include Ethafoam and Stratocell), is a perfect solutions for manufacturers of electrical equipment. Synergy Packaging will work with you to develop the most cost effective electronics protective packaging for your products. 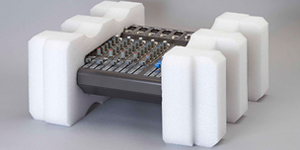 With over 15 years experience we know everything about foam packaging. As well as design and sampling capabilities at each of our three UK sites, we work closely with raw material suppliers to develop and test the proposed solution to ensure we are able to meet all your requirements. Click here to find out more about our design services.